Western Digital presents the 1TB SanDisk Extreme UHS-I microSDXC card at the Mobile World Congress as the world’s fastest high-capacity 1TB microSD card to date. The 1TB SanDisk Extreme microSD offers the best combination of capacity and speed offering read speeds of up to 160MB/s and write speeds of up to 90MB/s. The 1TB SanDisk Extreme microSD passes several video speed classifications including C10, V30, U3, and A2, guaranteeing smooth video capturing including high-resolution 4K content. The 1TB SanDisk Extreme microSD is the perfect storage solution for smartphones, drones, and cameras that aim to store massive amounts of content. It has been exactly a year since SanDisk released the 400GB SanDisk Extreme microSD card as the world's fastest microSD during that period. The 1TB SanDisk Extreme microSD further establishes Western Digital's leadership towards creating fast high-capacity compact flash storage. 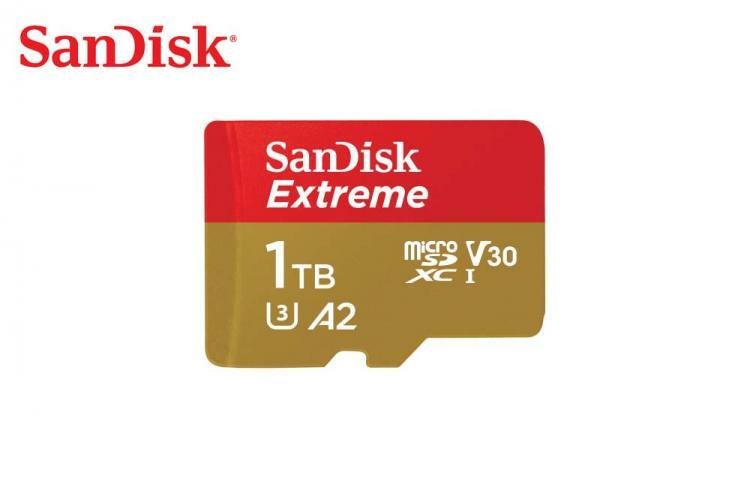 The 1TB SanDisk Extreme microSD caters today’s level of technology found in the latest generation smartphones, drones, and cameras that can now create high-quality content thanks to features like multi-lenses, burst mode capabilities, and 4K resolution support. Western Digital continues to deliver the most advanced solutions to ensure consumers can reliably capture and share a special moment or create video content for personal or professional use. Western Digital will also be releasing a 512GB version of the SanDisk Extreme microSD and will also feature A2 specification for ultra-fast launching and loading apps. The 1TB SanDisk Extreme microSD is now available for pre-order at SanDisk.com with an MSRP of $499.99 USD. The 512GB SanDisk Extreme microSD is also available for pre-order at $199.99USD.